Driving into Kensington and Talmadge for the first time can catch you off guard. Plopped in the middle of City Heights, North Park, Mission Valley and Normal Heights, the area can have a Twilight Zone effect in its resemblance to a quaint small town right in the center of San Diego. Kensington and Talmadge (Ken-Tal) are two distinct communities often paired for the sake of convenience, but they both face their own unique challenges. Still, close collaboration is common among the two neighborhoods, with many organizations straddling the two communities, such as the area’s planning group and (one of) its community associations. And regardless of the area’s affluence and relative quaintness, it remains very inclusive and seems eager to interact with its surrounding neighbors. The area’s community planning group formed considerably later than many of its neighbors. Created by the City a few years before its last community plan update in 1998, the KTCPG has a smaller area and population than most other planning groups. Straddling two distinct communities presents its own challenges as well. Of significant interest from a community planning standpoint, two major projects in Ken-Tal are nearing completion: the Copley-Price Family YMCA Project and the Kensington Commons. In the community, both projects are without precedent where size is concerned. While the YMCA is on the cusp between Ken-Tal and City Heights where it will provide numerous resources and amenities to the community, the Kensington Commons is right in the heart of Kensington. At first contested by some residents, even threatened with litigation, the Kensington Commons that’s currently having its windows installed is a smaller incarnation than originally planned. Following protest by community, the building was slightly scaled down in square footage to meet zoning regulations. Plans for an underground, public parking space were also tabled. Moty was disappointed by the ultimate outcome of the settlement, primarily because of the loss of the paid parking lot, which he thought would have been an asset to the community. Although the Kensington Commons is sure to have an impact on foot and car traffic in the area, Moty is content with the homeostasis Kensington has found within its quietly prosperous commercial district and residential areas. Talmadge, on the other hand, continues to struggle to adopt its own commercial corridor. Because of that, it’s often overlooked. 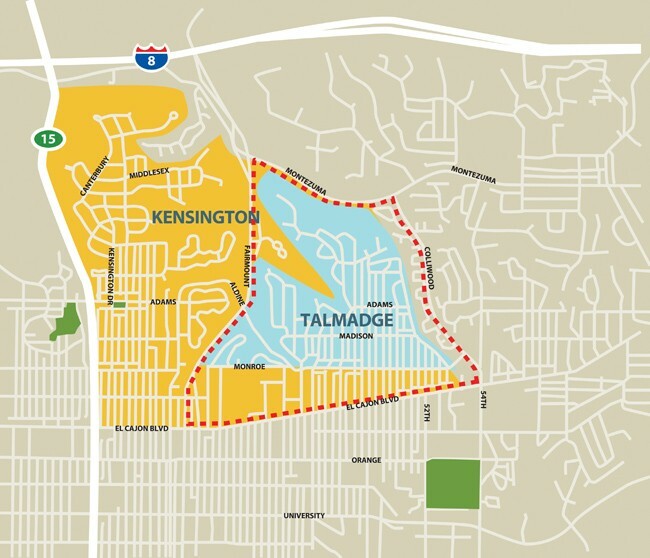 People are often shocked to learn that Talmadge is in fact a few thousand residences larger than Kensington. Moty suspects that growth may be slugglish because of an unambitious community plan for Talmadge, which he blames on nothing but lack of an effective means for communication back in the late ‘90s when the plan was written. The Kensington community was well involved with the writing of the latest incarnation of the Ken-Tal Community Plan, but short of going and knocking on doors, city planners did not have an effective way to engage Talmadge in the planning process. Consequently, rather than planning for progressive growth and development in the community without the consent or involvement of residents, city planners chose to keep the Talmadge community plan conservative. 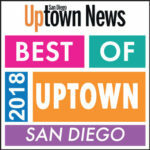 With a plan update for Ken-Tal still likely 15 years away, Moty hopes the community doesn’t have to wait that long for Talmadge to be able to plan for growth, especially with regards to developing a commercial corridor, which he suggested the 4400 block of Euclid Avenue may make a good candidate for. Another concern for Moty was Aldine Drive in Talmadge, where traffic volume has swelled to a dangerously congested point. Moty said the old, two-lane street greatly needs a major overhaul, but the area has yet to gain the full attention of the City. The SANDAG Bike Plan will partially run through Ken-Tal on Monroe Avenue, which Aldine feeds into. That intersection requires reworking for the bike corridor plan, and Moty hopes this will inspire the City to take a longer look at fixing Aldine. Perhaps most significant of all is the KTCPG’s plans to create not just one, but five Maintenance Assessment Districts in Kensington, where currently none exist. They’ll be used almost exclusively for lighting, but creating five separate ones, rather than one large district, allows for the individual MADs to better tailor themselves to their area. For what is almost a wholly-residential community, Talmadge has a surprisingly active MAD. Recently, TMAD defied laws of reality by completing a civic capital project years ahead of schedule, installing 250 1920s-era ornamental streetlights throughout Talmadge. 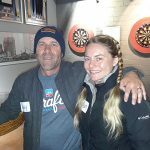 Largely by a stroke of luck, the $1.2 million project was piggybacked onto a large undergrounding project which began in the community a decade into the lighting project’s planning. It would have otherwise taken an additional decade to complete, estimated TMAD Chair Fred Lindahl. Now, the board will take on updating the existing ornamental lights — the ones that have actually been around since 1926 — replacing their wiring, repainting them and replacing their paneling. Strolling around Talmadge, you may also notice several ornamental gates throughout the area. 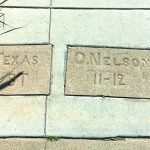 These have been in the community for decades as well, and TMAD plans to temporarily remove six this year for rehabilitation, having spruced up the rest in previous years. MADs are strictly limited to using their funding for projects that the residents originally voted them into existence to provide. The Kensington MADs, designed exclusively to provide lighting, for example, will be able to provide only lighting projects until the time, otherwise it will have to hold another vote to recreate its constitution. The Talmadge MAD, in comparison, has a comparatively broader plan, which has allowed it to do a wider range of projects in the past. It originally formed to address and beautify a large, barren traffic circle, and now it hopes to begin planning more extensive traffic calming measures for the future, such as constructing additional roundabouts. After existing in Ken-Tal for nearly 75 years, KTCA has settled very comfortably into a niche. Among its primary concerns nowadays are maintaining the “Kensington” sign crossing Adams Avenue — which it originally installed 50 years ago, and just recently overhauled — and organizing events within the community. 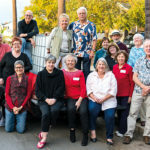 It’s got over 200 members, mostly in Kensington, and their annual dues more than cover the cost of sign maintenance, paying guest speakers and organizing events, primarily with their monthly dinner programs. It’s also tackled other projects throughout the years, such as installing the area’s banner districts on Adams Avenue, but for the most part, the KTCA is content being a modest supporter of those who call Ken-Tal their home. Information about joining the KTCA can be found at kental.org. 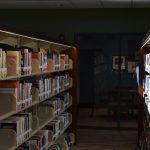 Blending social with community activism, the TCC began as the Talmadge Neighborhood Watch, which is one of, if not still the primary focus of the organization today. With a staff of just 16 operating seven days a week, often into the wee hours of the morning, TCC Chair Ann Burnett-Troisi said that the watch has been effective in curbing vandalism, and has even addressed drug dealing and prostitution in the area. The TCC hosts their local police officer once a month at its meeting and organizes teens every once in a while in need of community service hours, usually by getting them to help with graffiti removal. The group also works regularly with their City Heights neighbors to the south, hosting regular cleanups with the Herbert Hoover High School football team, and working to help Little Saigon with beautification projects like storefront improvements and banner districts. As for becoming a member, if you live in Talmadge, you already are one. Burnett-Troisi encourages every Talmadgian, even those she passes on the sidewalk, to join the neighborhood-friendly social network, nextdoor.com to get involved. Next issue, Uptown News will take a look at the community organizations that make up Golden Hill and South Park. The original project was scaled down from 56,000 SF to 49,000 by the legal agreement between the developers, Terrace Partners, and the community organization, The Heart of Kensington. The underground parking garage was not removed by the legal agreement. 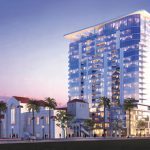 Due to market conditions and the overall cost of the new project, Kensington Commons, the developers chose to eliminate the costly underground garage in favor of surface level parking. Also due to economics, the project has further been scaled down to 32,000 SF. As far as whether an underground garage would have provided more parking, the community did not believe so, as the garage was to provide paid parking, not free parking. The general belief is that people would rather circulate around the residential streets looking for a free parking space rather than pay for one in the garage. The garage may have actually exacerbated the existing parking problem in Kensington. Thanks, Maggie. The quoted paragraph was amended to clarify the distinction made in your second paragraph.